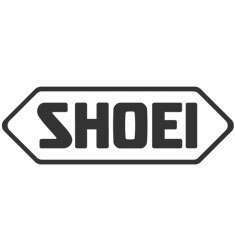 When Shoei announces a new helmet, the motorcycle world listens. It's a rare occurrence for them to do so but when it happens, they do it right. We were pleasantly surprised when we saw the newest addition to Shoei's range: the RYD. The Shoei RYD has pleasantly minimal and sleek looks and is designed to be a versatile helmet that suits just about any riding style and just about any type of bike. The RYD uses Shoei's much lauded Advance Integrated Matrix Plus (AIM) shell design, which is basically a composite of 5 layers of fibreglass and organic fibres making for a very strong, slightly flexible helmet. The liner consists of multi-density, shock absorbing polystyrene, designed to take a punch, big or small. Shoei incorporated the Emergency Quick Release System in this helmet: in case of an accident paramedics can pull the red tabs at the bottom of the helmet to release the cheek pads and avoid potential neck injuries when removing the helmet. Shoei provides excellent ventilation with a single chin vent and dual forehead vents running to two exhaust vents in the back. All vents are easily operated with a gloved hand. They managed to strike a nice balance between a well-vented helmet and the inevitable noise levels that come with this and the RYD makes for a nice and quiet ride. Read more about the Shoei RYD in our blog post. Replacement visors in a variety of tints available here.